Elif graduated from TED Ankara College, Hacettepe University Bussiness Management. She worked as a journalist for Aktuel magazine, Editor-in-Chief of Cosmopolitan in Turkey, Editor-in-Chief of Kelebek newspaper; the main supplement of Hurriyet newspaper. She also worked as a columnist and interviewer in: Cosmopolitan, Esquire, Marie Claire, Aktuel, Hürriyet, Sabah, Aksam. Elif created, produced and hosted some television shows on mainstream television channels such as ATV “This is The Show”, Star “With Elif Dagdeviren”, Cine 5 “Young Turks with Elif Dagdeviren”, TRT “Build a Your Career”, Skytürk “Butterfly Effect”, Türkmax “Social Media Universe with Elif Dagdeviren”, and Türkmax “Heberler. 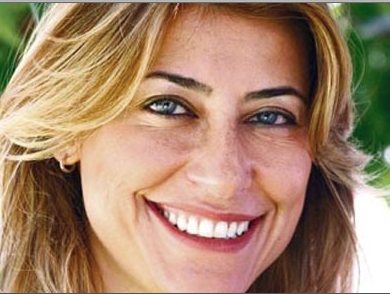 She founded and developed netbul.com, one of the first dot com companies of Turkey, it was sold in 2001. Co-founded her own company Hermes Film Productions. Produced blockbuster movies: Shattered Soul, Living and Dying (a co-produced Hollywood film), Waiting For Heaven (an award winner arthouse film) ,and IceCream I Scream (2007 Academy Awards candidate for nomination on behalf of Turkey, an international award winner cult movie). Elif gave classes at Istanbul University, Marmara University, Akademi Hayat, MGSM on Journalism, Social Media, New Media, Communications, and Production. She is a board member of TURSAK (Turkish Foundation of Cinema and Audio-visual Culture). Elif recently founded ED.GE Creative Consultancy and Filmmaking, to put all her expertise in journalism, media, internet, production, and communications into one pool.